Step into a little corner of Ireland! 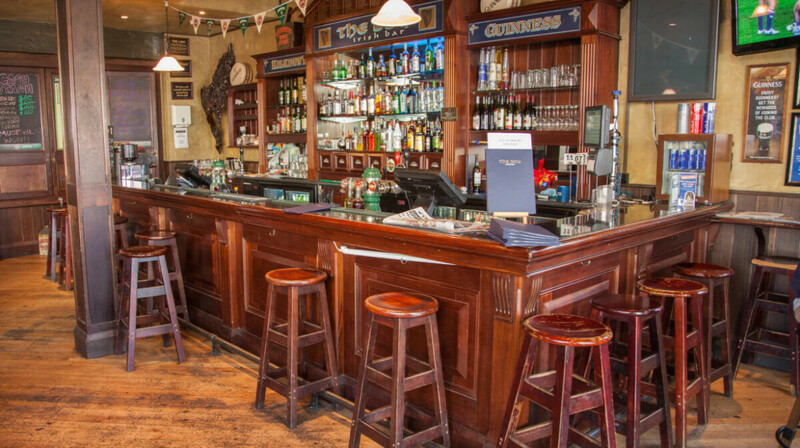 The Bog is the finest Irish bar and restaurant in the region, famed for its Guinness and good times. 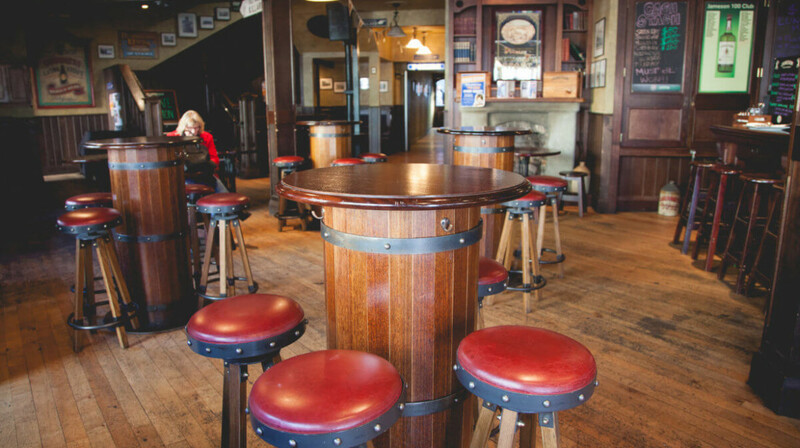 The cosy bar has a friendly atmosphere, an open fire and a menu that’ll satisfy the cravings you never knew you had. Tuck into starters like a pot of mussels, whiskey wings and creamy seafood chowder made to an age-old recipe. 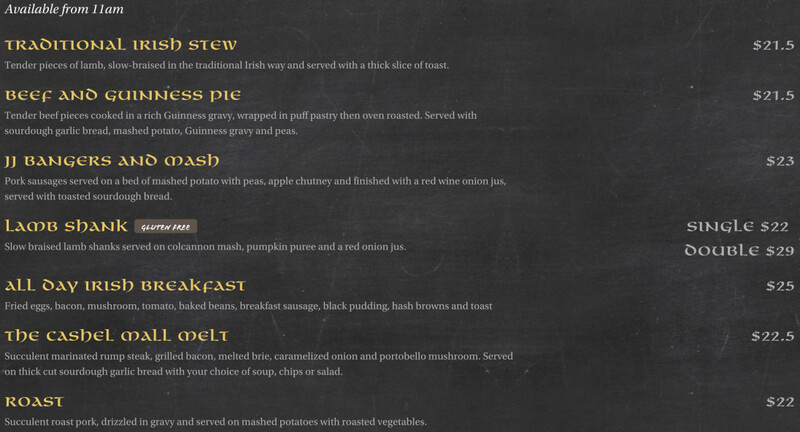 For your main meal, enjoy classic Irish dishes like beef and Guinness pie, a traditional stew or lamb shank with colcannon mash. 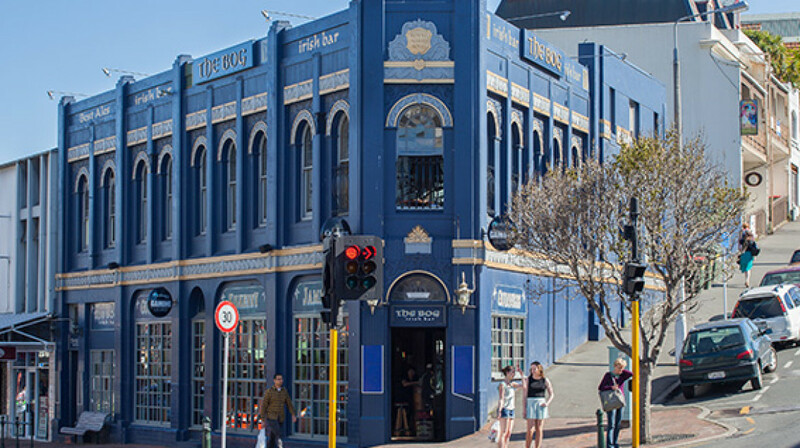 Kiwi favourites like fish and chips and a hearty burger are available too. Wrap up your meal with a dessert – or a sweet dessert cocktail and stick around for top-notch entertainment including live music and ‘Believe it or Not’ pub quizzes. 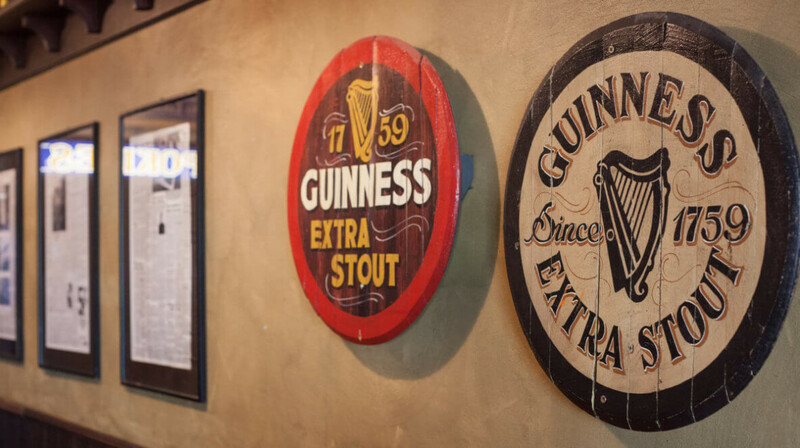 As well as Guinness, The Bog has Kilkenny on tap and a huge range of beers, wine and spirits. Lamb shanks were beautiful, staff were very friendly and polite. Thanks! My meal was delicious. I had the Steak Sandwich. I asked for Med Rare which was more Medium but didn’t bother me. I really enjoyed my meal and would definitely recommend. Friendly staff, good food, good beer, Ideal. It would be better if the beer was filled to the top of the glasses. It was our first time dining here. After a day of travelling and shopping we were very hungry. 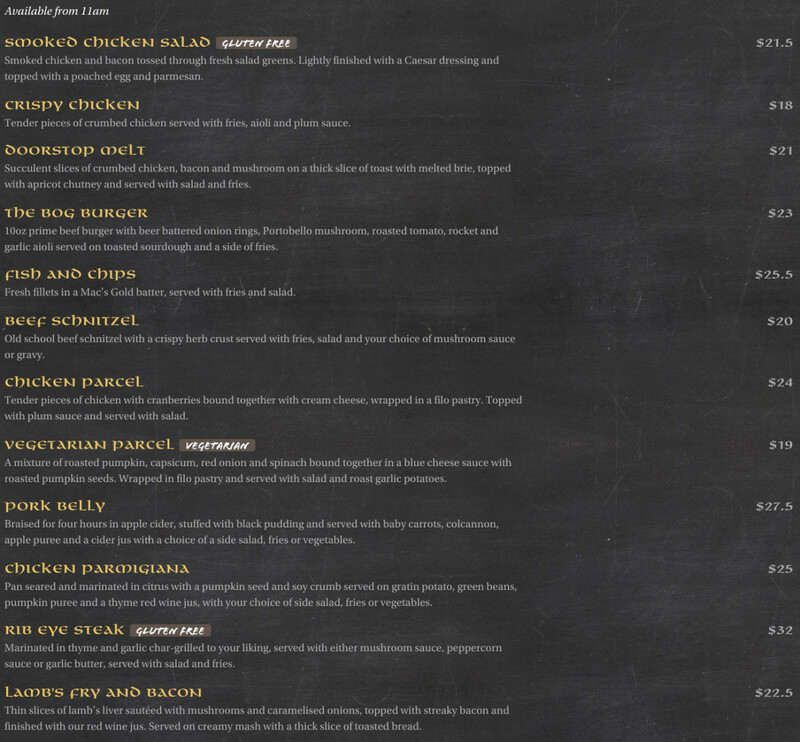 Be aware the meals are huge, something we didn’t know before we ordered our soup starters! The service was fantastic, both at the bar and the upstairs restaurant. The food was delicious. Perfectly toasted bread, not over toasted in my open sandwich. Apologies for leaving food on the plate, we simply just couldn’t eat it all! Great value for money. The Bog Dunedin offers a great feed with friendly services. I recommend this place highly. So I definitely had a great time. We were welcomed and had free table choice, afterwards we got great service, throughout our whole stay. The food is really something special. And not the boring standard. Even the food tasted great I have to point out two things here: the "medium" stake was more a medium done if not well done, and the mushrooms looked also a bit overcooked and black. So all over all It still tasted great and was a really nice time. Will come again. Our guests (Japanese tourists) were thoroughly enjoyed the food - they kept on saying that the food was delicious, delicious. Chances are that they will come back to Dunedin next year. We arrived on time for our first table booking and was told we could choose where we sat. We were the only ones at the restaurant at the time, and the waiter/bar man was very attentive and helpful. I chose the mussels starter whcih was delicious - the mussels were fresh and tasty. My husband didn't want a starter but for a non-mussels lover, he tasted one off my plate and went for more! 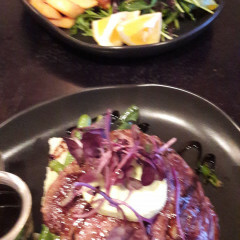 We then ordered the mains - a steak for him and pork belly for me - both of which were big, well cooked flavoursome meals. We thoroughly enjoyed it. feeling too full, we opted not to have a desert. The menu was extensive and choosing what we wanted was no easy task - will definitely have to go back to try some other options! Thank you for the friendly, helpful service and delicious food. Arrived just after 5pm and could choose where we wanted to sit. The service was great with very friendly staff. The food was enjoyed by everyone especially the chicken parcel and cheesecake. A great restaurant to visit. Great food and very nice service. 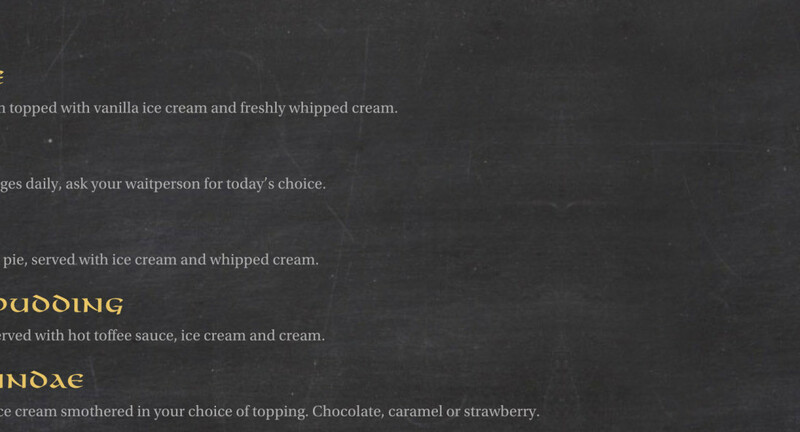 My daughter loved her child's menu special with the big ice cream. Great welcome right from the start by an attentive waiter. The food was tasty and generous serves. Sticky date pudding was the star of the evening. Thank you. Delicious :-) I ordered beef schnitzel with mushroom sauce and veges which was faultless, piping hot and very tasty. Husband ordered roast pork and it was to die for, melt in your mouth pork and tasty veges, apple sauce and gravy. Prompt service and friendly staff. Excellent experience. Very nice food and excellent service. Only one small thing the food was not quite hot enough. May be 50 seconds in the micro or a couple of minutes in the oven or stove b4 serving would help overcome this. 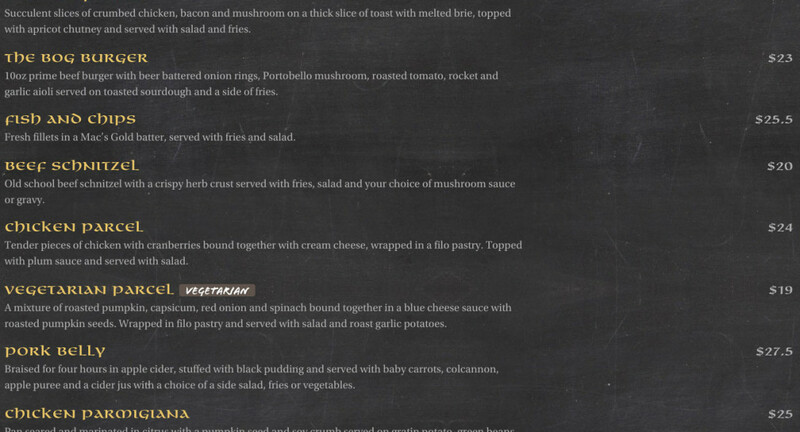 We dined at The Bog in Dunedin on Tuesday night to celebrate our son's 5th b'day - he'd requested a 'pub dinner' so The Bog's menu and the family friendly First Table time of 5pm suited us perfectly (especially as we also have a 3yo). We arrived a little early (as things don't always go to plan when leaving the house with little kids and we didn't want to miss our booking time), the bar attendant greeted us as we entered and suggested we take a seat downstairs while we waited for the dining room staff to be ready for us, so we picked a seat near the old school arcade game machine which kept the kids happy and the roaring (gas) fires meant the whole room was cosy and warm without needing to sit right next to them. At 5pm they let us know the dining area was ready for us and we headed upstairs and took a seat at one of the corner tables with banquette seating (perfect for containing kids). Our waitress gave us food and drink menus, along with a couple of colouring pages and a pencils for the kids. There was plenty of choice on the main menu and a good selection of kids meals (not shown on their website) which come with a drink and ice cream. We started with the pot of mussels which were lovely and fresh but a bit heavy on the lemon for my liking and the side of bread had the same garlic butter as the garlic bread we ordered so although tasty it would have been nicer if left plain. The kids orders of fish & chips came out early with our starters as requested and they went down a treat with a good size serve of chips, two small pieces of fish and a small salad. Our mains of double lamb shanks and pork belly came not long after the starter plates were cleared, and were delicious. They both came with a generous serve of colcannon mash and a second vegetable (pumpkin with the shanks and baby carrots with the pork). The crackling served with the pork was salty and crunchy just as it should be, although the baby carrots showed signs of being frozen rather than fresh so weren’t as nice as could have been. The choice of an accompanying side salad was a welcome break from the overall richness of the pork dish. After the mains there was no room for desserts for the grown-ups but the kids were thrilled with their bowl of ice cream (a word of warning though, if your kids are like ours and don’t normally get sweet treats - there was a LOT of chocolate syrup on the ice cream). Overall it was a great dinner, with good service (I’d be interested to see how they do when we aren’t the only ones in the dining area, hopefully they keep it up) and very good value for money with the First Table discount and worth going back for at full price (our pints of perfectly poured Guinness and cider; and the temptation of an Irish coffee after the meal had us wishing we’d caught the bus rather than driven, but we’ll save that for another night without the kids). We were seated upstairs, the place was well lit, with music playing through the speakers (it wasn't too loud so we could still have a good conversation without straining our voices.) We ordered a pot of mussels (which was the highlight of the evening) and a Guinness Pie (which came with mashed potatoes, peas and gravy.) The portion sizes are good. We were pretty full, but decided to try a dessert anyway. The Sticky Date Pudding was recommended by the waiter (he also mentioned the specials.) The slice of date pudding came with a scoop of vanilla ice cream and whipped cream. All very filling! Excellent soup of the day..just about a meal in itself. Food and service was great. A good local restaurant, good one to visit! Great service, amazing Seafood Chowder entree, enough for both of us and perfectly cooked fish of the day plus my partners steak! First time I've eaten here and found the service to be very good and likewise with the food. Good pub grub. Only downside was the pint of Guinness I had was not up to standard, appeared watered down or well past its sell by date. I should of really mentioned it. The amazing food and wonderful service from James made this a fantastic night! Highly recommend the burger, guinness pie and lamb shanks yum!! Will be back again for sure. We dined at The Bog last night for the first time. Our waiter was very efficient and informed us of the specials and asked several times if we were needing anything else which was great. The food was nicely presented and full of flavour. Rib Eye Steak cooked exactly as requested, seafood chowder was full and hearty. Calamari was also very tasty along with salad and dressings. Thank-you for making us feel welcome and looking after us. Got to the restaurant at 4.55pm our booking was at 5pm. We were told they had no booking under our name which wasn’t a great start, thankfully we had the voucher. My husband had the doorstop melt which was a large portion, but more bread than chicken. 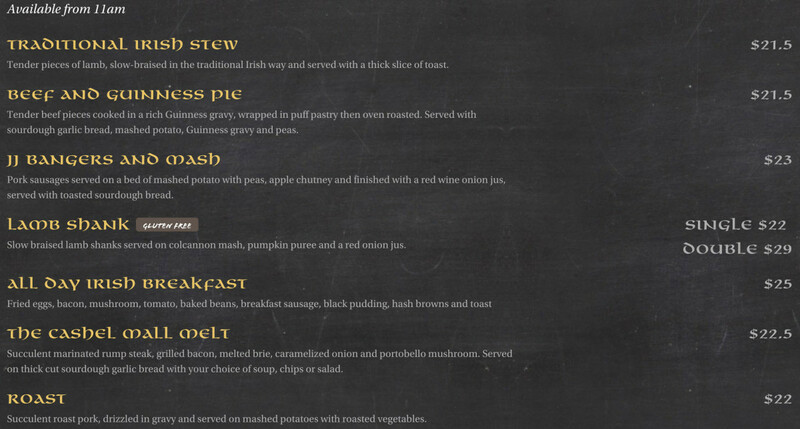 I had the beef and Guinness pie which was yummy, however the peas weren’t cooked properly. My partner and I had the calamari for the entree and thought it was super delicious! Nicely seasoned and was different to other calamari dishes as it didn't have fried batter. 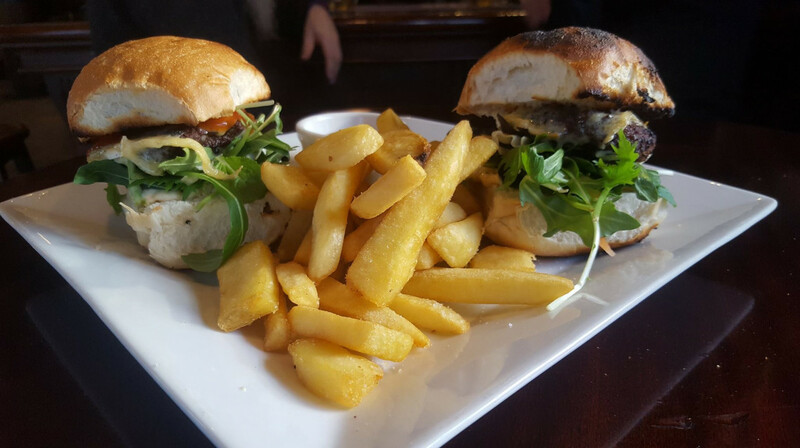 My partner had a bog burger and gold ale speights, he liked the burger saying it was above average but not exceptional, but was really happy about the beer being at such a wonderful price and enjoyed it very much! 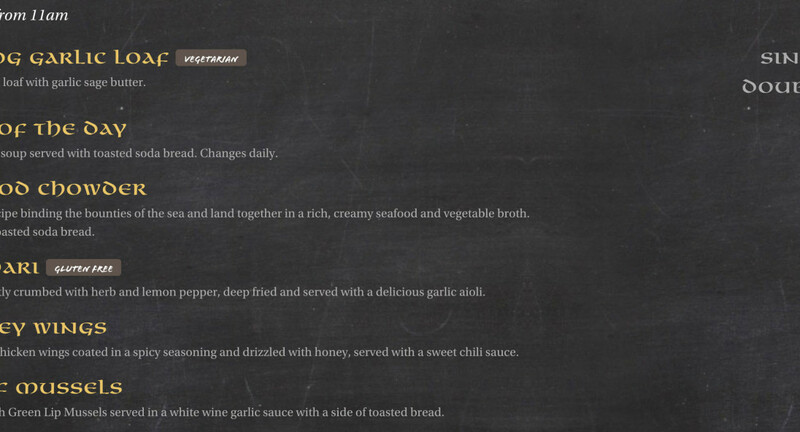 I had the rib eye steak, I asked it to be medium-welldone, and in my opinion it was abit too done. The burnt charcoal was overdone on the underside of the steak so I had to slice the burnt parts off. 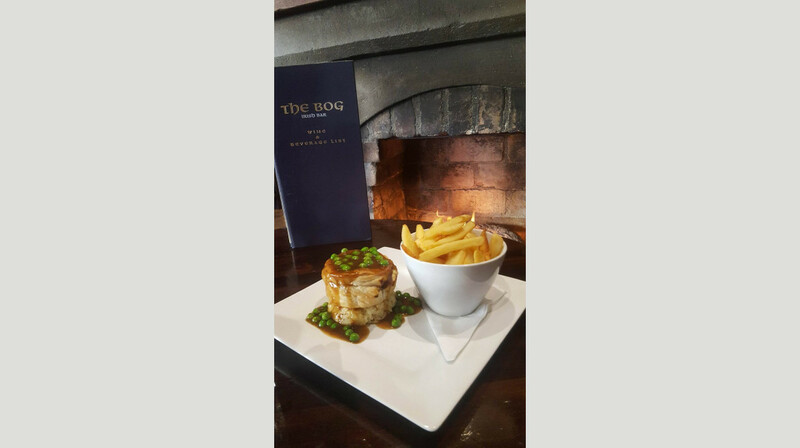 Overall, we enjoyed eating at the Bog as it has a nice atmosphere, good value for price, the fries and salad were a nice compliment to the meal and I thought the waitress was also nice and friendly. I would recommend the Bog for those that want a nice beer with their meal. Had a great meal for 4. We all enjoyed our food and would recommend to other diners. Great Pub. Heaps of yummy food. Couldn't finish my meal, heaps on my plate. I will know next time to go with an empty stomach. Great food. Great service. Great family dining. We will be back. Had a great meal. Steaks where perfectly cooked. 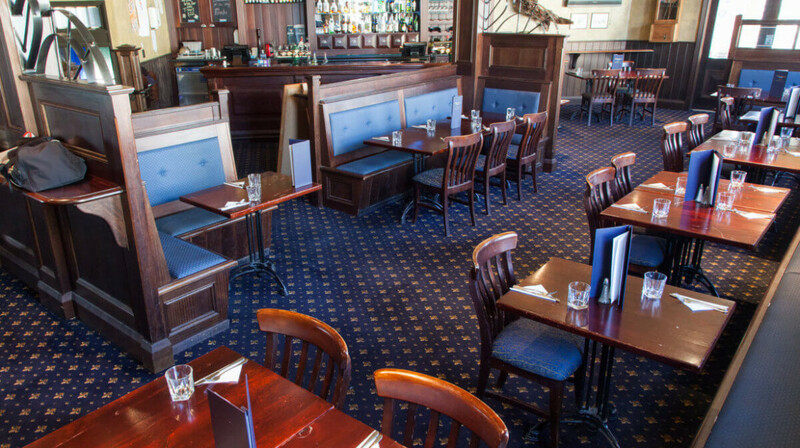 Great value, good pub food. The waitress was very polite and helpful . Great meal! The portions were so huge we weren't able to fit dessert!! Was a great night out! Wonderful food and really generous portions! Had the Fish of the Day and a Pot of Mussels, really tasty and fulfilling, washed down with a pint of draft Guinness. Good comfortable atmosphere for a chill hang out with the mates. Excellent, friendly service by the bar staff. 10/10 would definitely recommend.